Southern California native, Rosalind is a classically trained #violinist that has been playing for 15 years. She has an ethereal, warm tone to her playing that fits perfectly with Shiver's vibe. 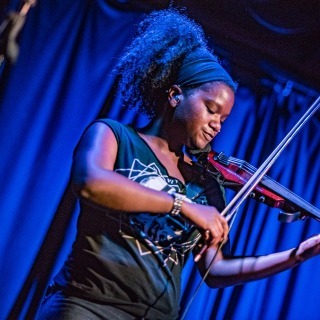 Influenced by #artists such as David Garett, Black Violin, 2 Cellos, Hilary Hahn, and Joshua Bell, Rosalind's # violin playing and #vocal ability adds to unique and interesting layer to Shiver's Hard Rock #sound.